As you all know, we lost our dear Captain John Doswell last year. In our quest to continue Capt. John’s vision, we are announcing our search for an executive director to help us further the mission of the WHC. The Mission of the Working Harbor Committee is to strengthen awareness of the working harbor’s history and vitality today, and its opportunities for the future. 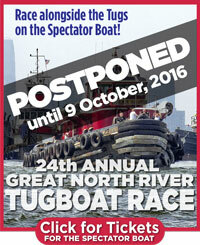 The Working Harbor Committee produces maritime educational programs and boat tours as well as community events, such as the annual Great North River Tugboat Race and Competitions. By involving people in learning how the harbor works and what it does, and educating them about the rich and challenging history of the harbor, the Working Harbor Committee strives to increase awareness of the importance of our magnificent working harbor. The attached PDF in the post has a link to where you can upload your queries and/or info. Best regards!